Mount Camdeboo Private Game Reserve is a sanctuary for conservation and personalized safaris in the Great Karoo region of the Eastern Cape. Providing a wilderness home to many successfully rehabilitated species, and sincerely engaged with the local community, Mount Camdeboo provides an inspiring window onto conservation excellence and local life and culture. Stay in a cosy lodge or in a safari tent, or find complete privacy in a sole-use villa. Your Karoo safari can include game drives, guided walks in the wilderness, tracking of cheetah, and visits to historic sites – all this in an area without malaria risk. On-site spa treatments and sightseeing in the region can also be enjoyed. 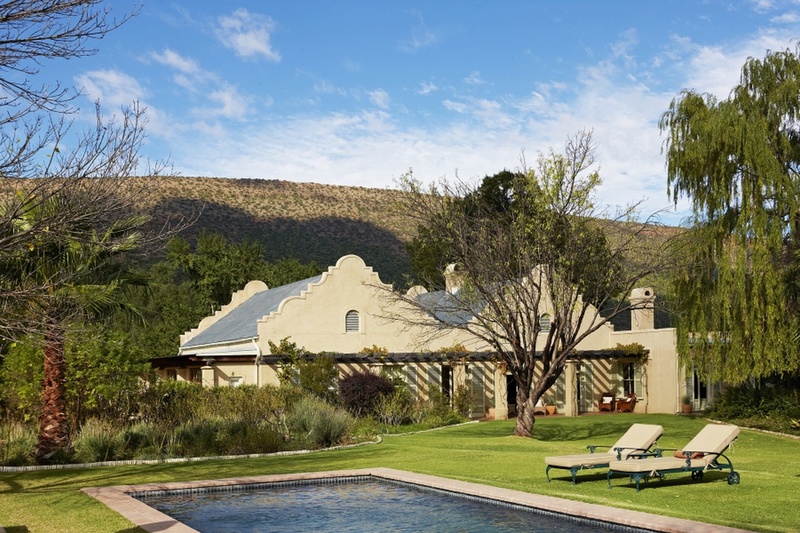 Feast on delectable traditional food of the Karoo in a variety of dining venues. Families are welcome and privately accommodated in beautiful homesteads, with ample garden space for children to play. There's currently no specials at Mount Camdeboo Private Game Reserve. Mount Camdeboo has a barn-style venue for conferences, weddings and special celebrations, with seating and on-site catering for 40 guests. The facility can be used by larger celebration groups of up to 120 people, if external catering and celebration services are used. The celebration venue has bar facilities, sound system, projectors, internet access, video and phone conferencing equipment, air-conditioning and underfloor heating. A boardroom has seating for 12 delegates. Accommodation can be provided for 24 guests at Mount Camdeboo. Additional staying guests would need to be accommodated at neighbouring lodges.